Hello guys, this is gonna be a quick guide to the Lightning card in Clash Royale. Hands down, Lightning is the most underrated spell in the current meta game. In the last update, Lightning got a huge buff offering the 0.5s stun effect, like the Zap spell. This makes the Lightning Spell excellent at dealing and coupling with Beatdown decks. Also, seems like Three Musketeers and Siege Decks are coming back to the ladders, this is definitely the best time to give this stunning card a chance in your deck! Lightning can hit up to 3 targets. It always hits the highest HP targets in the radius of 3.5 tiles. All of the targets get stunned for 0.5s. Seems like the Lightning has returned to Beatdown decks. Truly, Lightning was used a lot in Beatdown decks before when Siege deck was extremely popular). Shred and stun mini tanks such as Valkyrie. 19/2/16, decreased the Lightning’s Crown Tower damage by 20%. 19/9/16, gave the Lightning the ability to stun targets for 0.5 sec. 9/10/17, reduced Lightning’s damage by 3%, and its radius to 3 tiles (from 3.5 tiles). 12/12/17, decreased the Lightning’s Crown Tower damage from 40% to 35% of the full damage. Most players like using Poison instead of Lightning because of the cost. But, consider using Lightning If your push can be easily countered by Mega Minion, Inferno Tower. Assuming that I have the Lava Hound coming towards opponent’s Tower. My opponent places down Inferno Tower and Musketeer. I use Lightning when the Inferno Tower starts to emit the highest amount of damage. 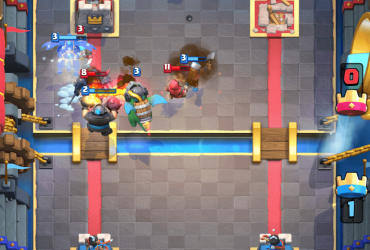 The Lightning kills Musketeer immediately, reset Inferno Tower’s damage as well as does a decent amount of damage to the Inferno Tower and the Tower nearby. It should be GG If the opponent doesn’t have the right card in his hand. In this situation, Lightning is much better than Poison. If I had used the Poison, the result would have been nothing. Lightning wreck almost any building and glass cannon in this situation. Assuming that there is a Mini P.E.K.K.A and Valkyrie trying to stop my push, I can easily Lightning and cripple them, getting them to the point where my support troops behind can easily kill them one by one. However, the Poison is still better in some situations of course. 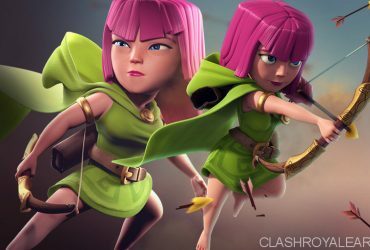 If you constantly face Minion Horde and Barbarians, Poison is obviously the better choice. 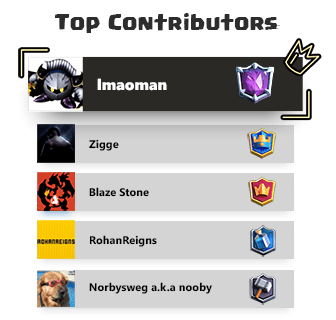 If you face people using common Beatdown counters such as Mini P.E.K.K.A, Valkyrie, Inferno Tower, Cannon, Three Musketeers… Lightning rocks! While dealing with tank decks, save your Lightning exclusively for the glass cannons. If your opponent pushes with less than 3 troops, you can hit the tank as well. I also don’t recommend using Lightning alone to deal with Double Prince, even when it resets their charges, the Princes still survive. Lightning’s radius is pretty large. It’s also the second highest damage spell. Lightning is excellent at dealing with multiple buildings. 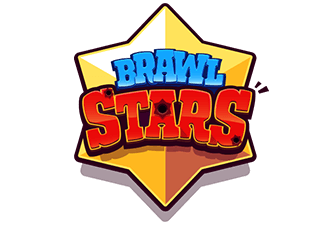 It’s not worth it to use Lightning to damage the Elixir Collector and the building nearby, but If you can kill something near by as well (Princess, Witch, Musketeer…), it is totally worth it. Use the Lightning to target nothing, it does nothing at all. This is a tricky way to cycle your deck and confuse your opponent. Do you like the Lightning? Please share your opinion guys!